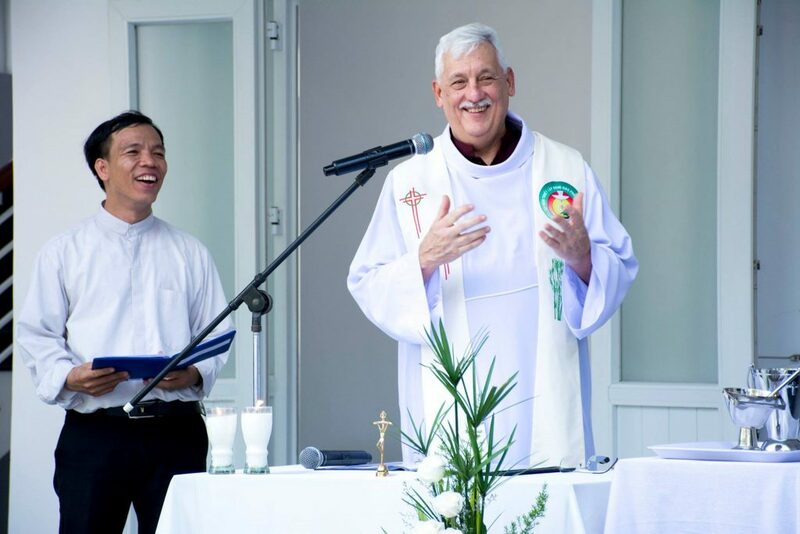 On his third day in Vietnam (December 4), Fr General Arturo Sosa visited the Sacred Heart Novitiate where he met the 34 novices. He then proceeded to the Candidates House located within the compound of St Michael’s Church run by the Jesuits. He met the 90 candidates and blessed their new building. The candidates welcomed Fr General with a lion dance, songs and a short dramatization of the protomartyr of Vietnam, Blessed Andrew Phu Yen, companion of Fr Alexandre de Rhodes SJ. Later in the evening, Fr Sosa presided at the Final Vows of Fr Anthony Nguyen Cao Thang SJ, Fr Paul Nguyen Thai Son SJ and Fr Andrew Pham Hoa Lac SJ.